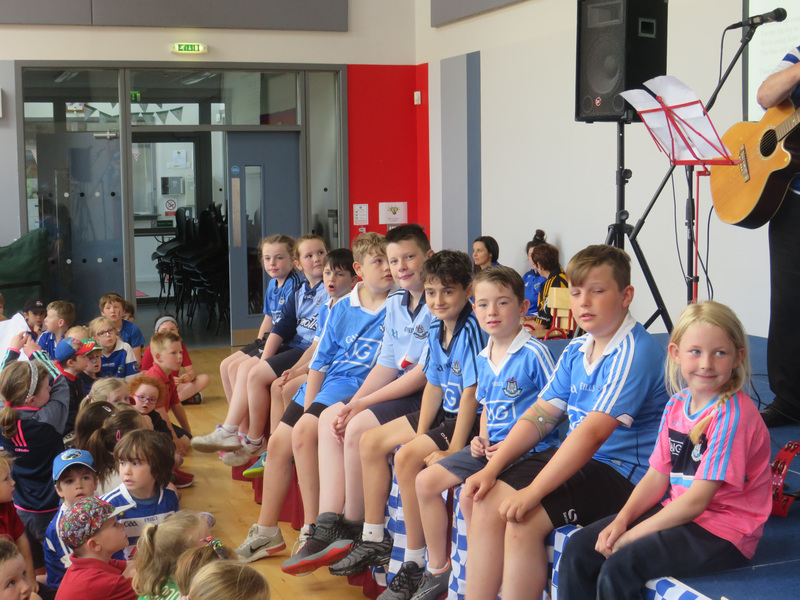 Gaelscoil Phortlaoise was given its own personal concert today as the Horahan brothers aired their latest song – the ‘Laois Anthem’ – at the school. 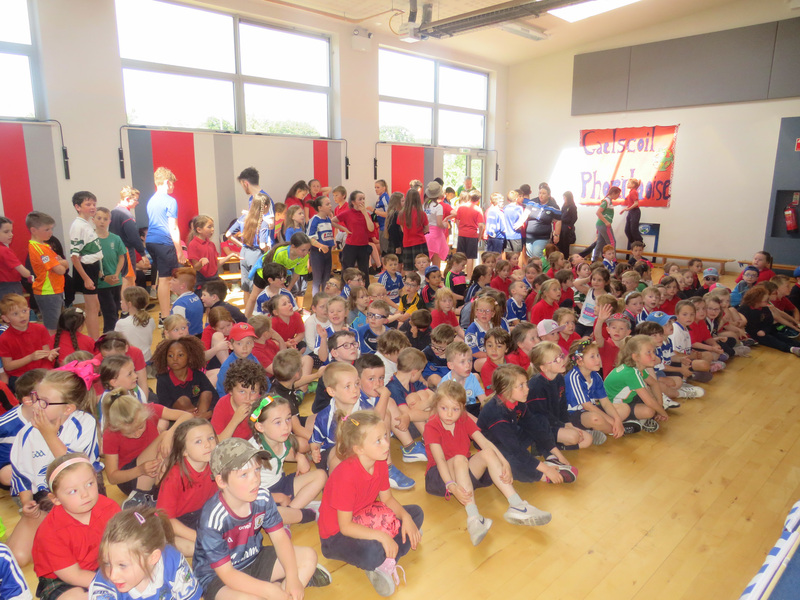 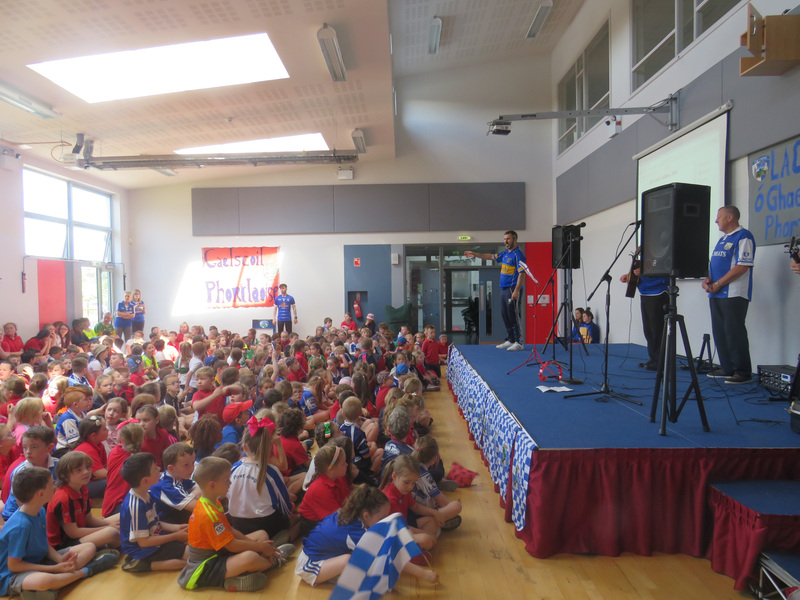 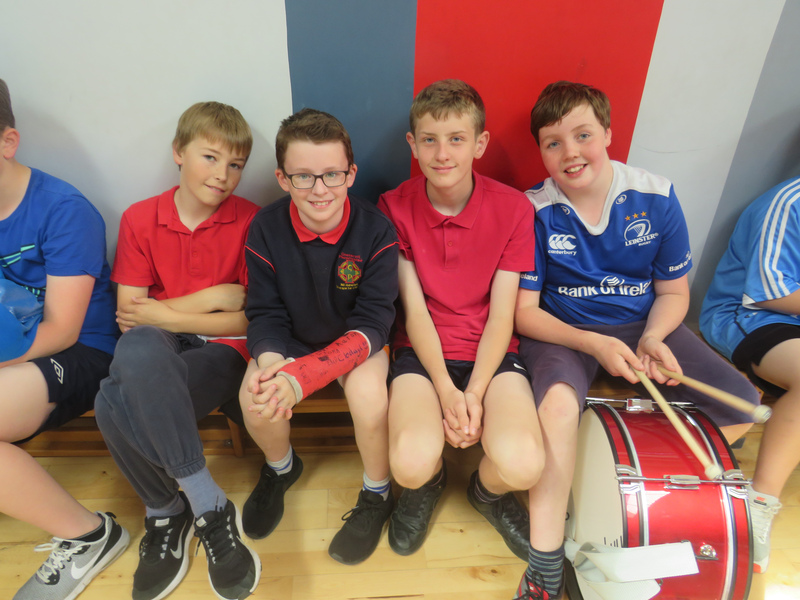 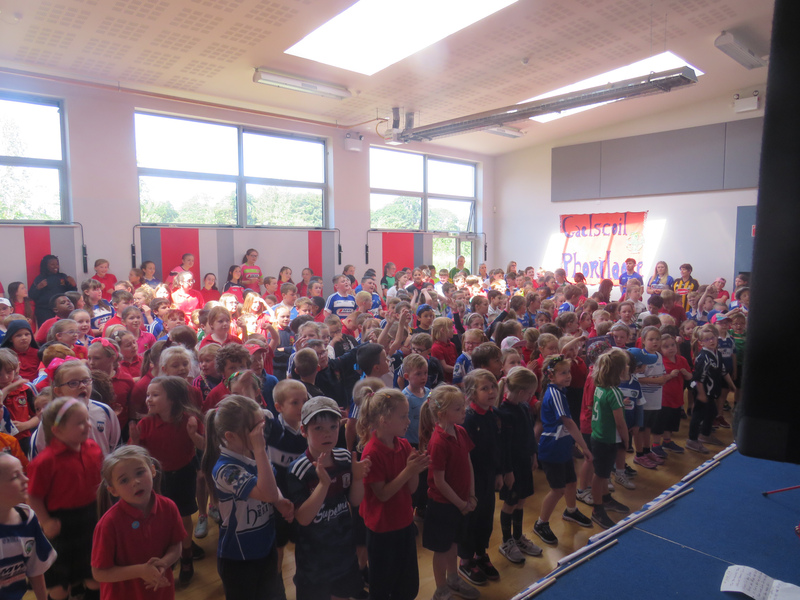 Pupils nearly blew the roof off of the hall as they sang along with and chanted ‘Laois Laois Laois’ for the band. 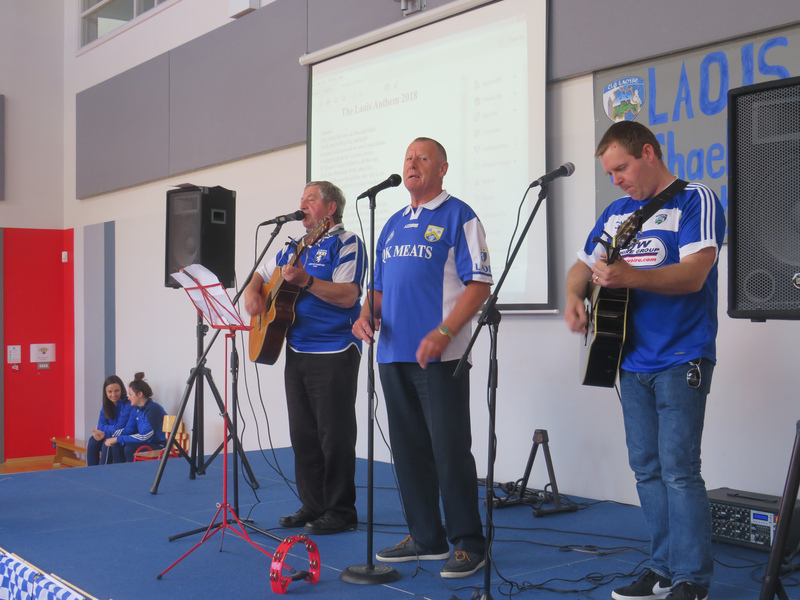 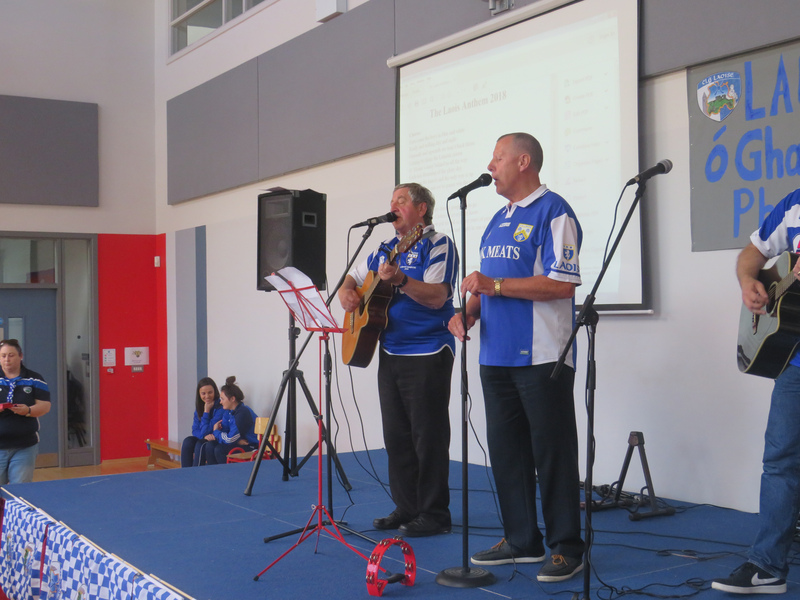 This isn’t the first time the Killeen Brothers have dedicated a song to Laois football either. 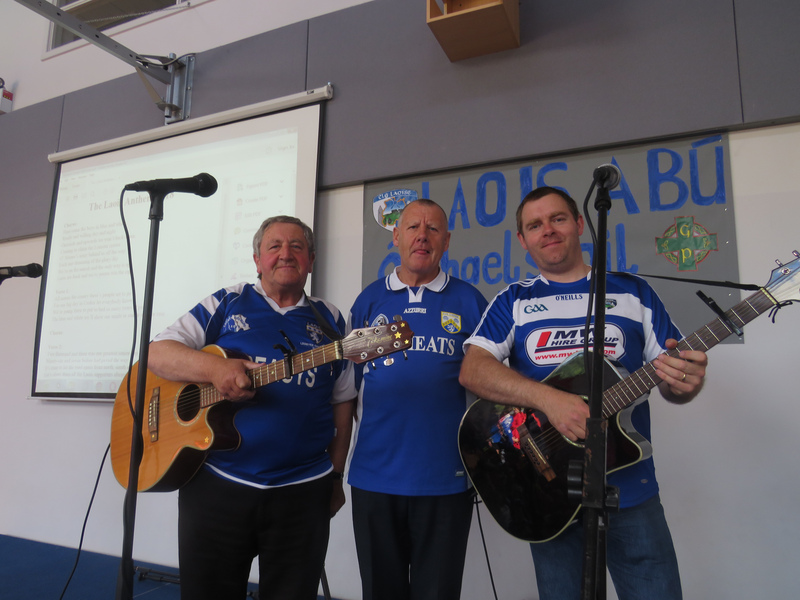 Frank Horahan penned a few verses in ode to the Laois minor team who won the Leinster football championship in 1996. 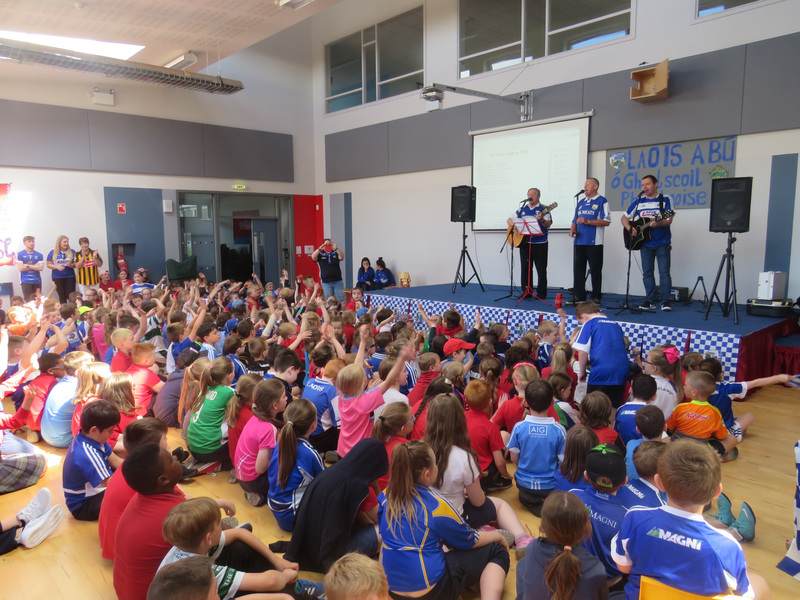 This was followed a few years later with the ‘Laois Leinster champions song’ in 2003. 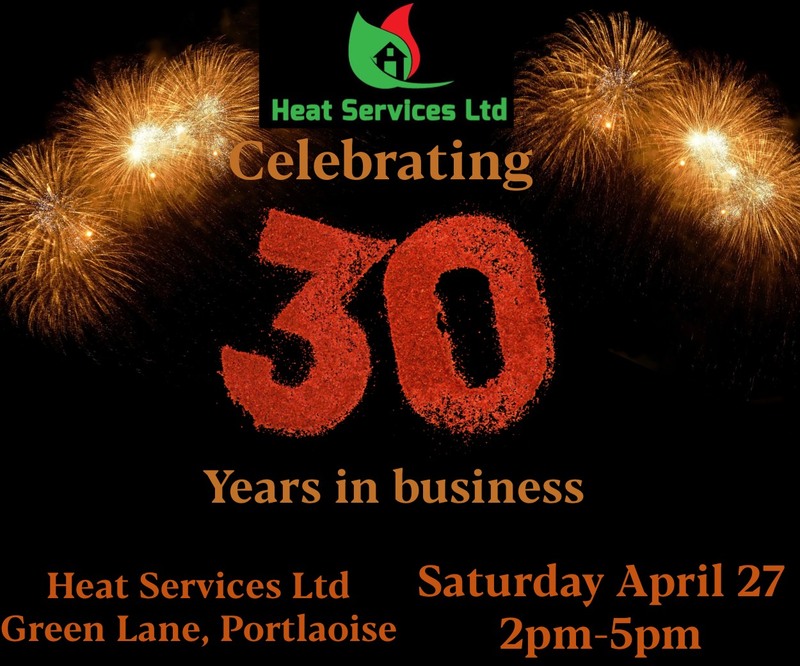 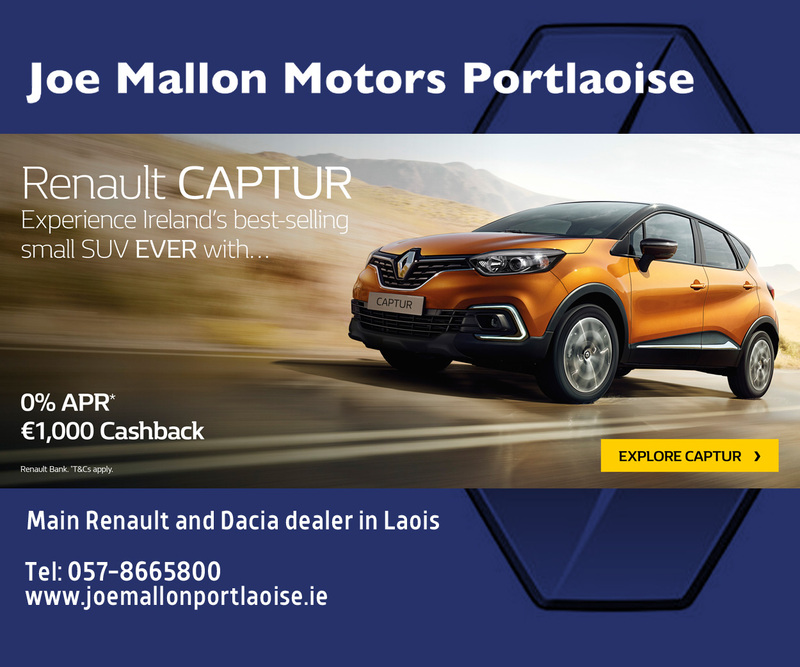 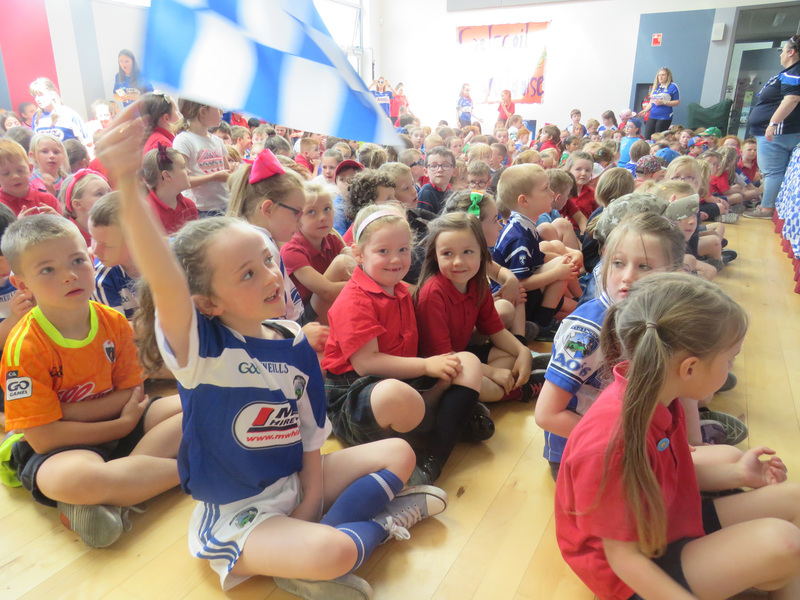 Of course, there are a migration of Dubs down in Laois and the Horahans didn’t leave them of the mix either – singing ‘Molly Malone’ after their catchy anthem. 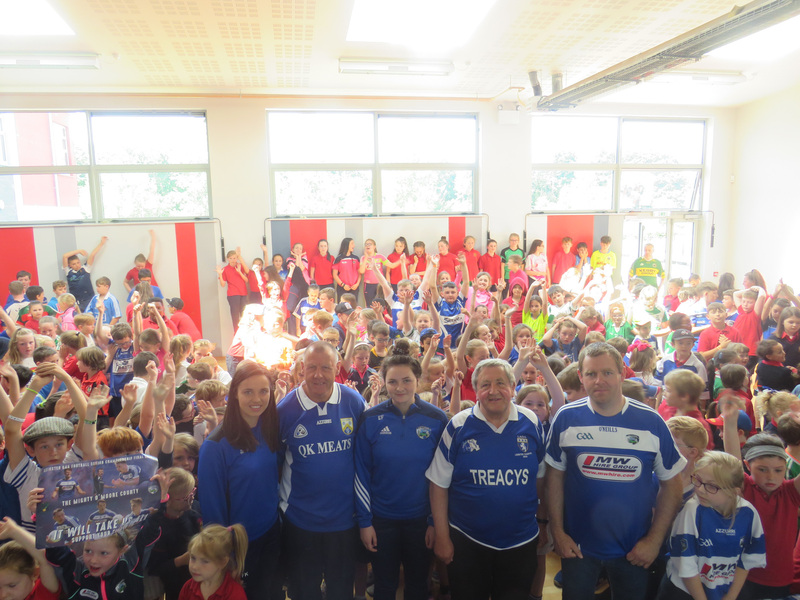 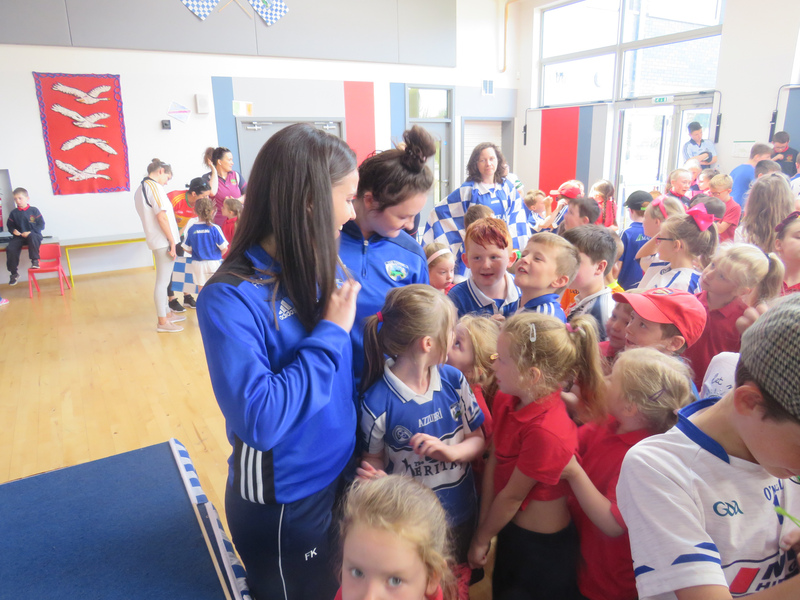 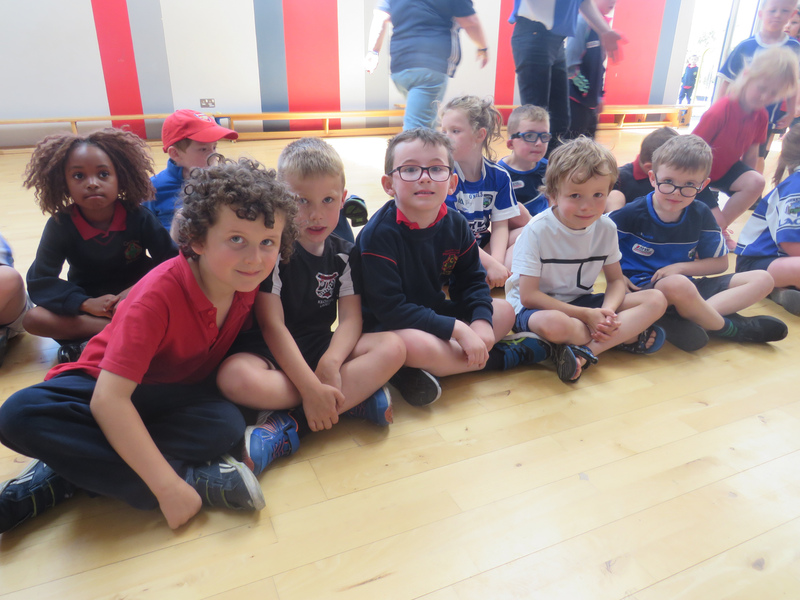 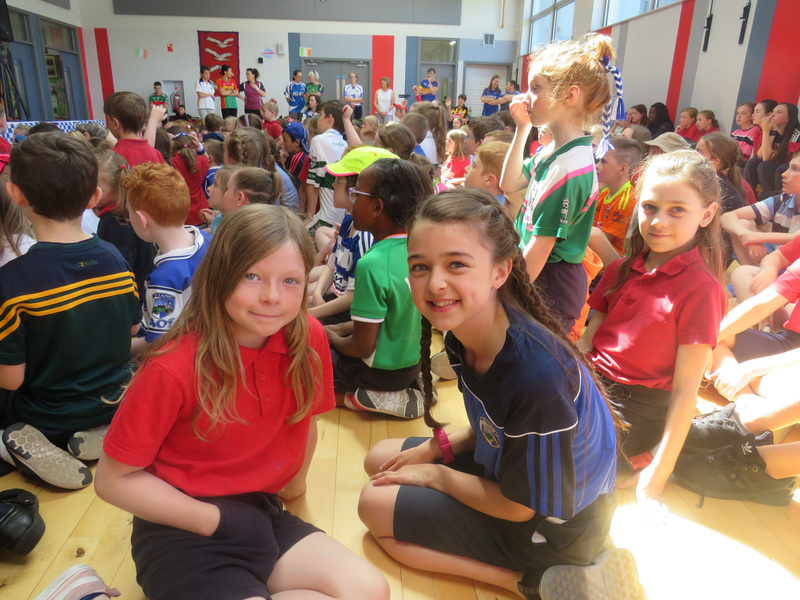 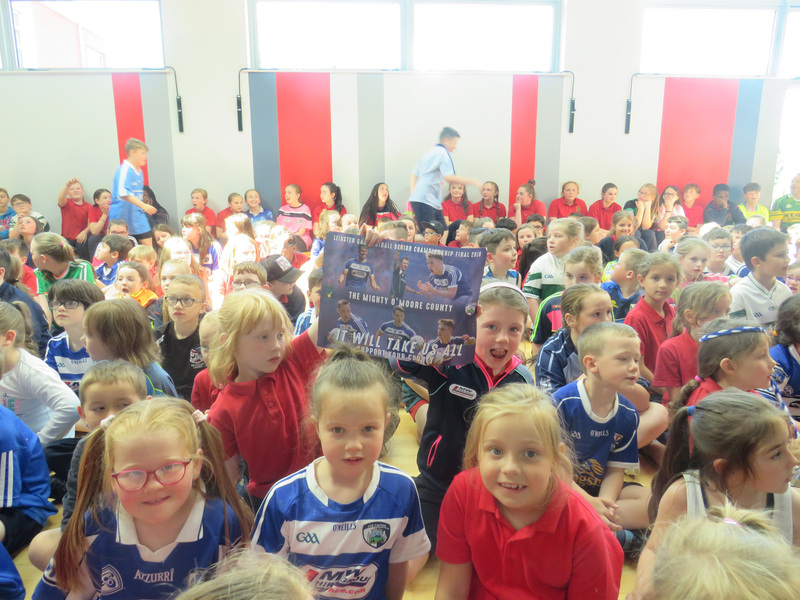 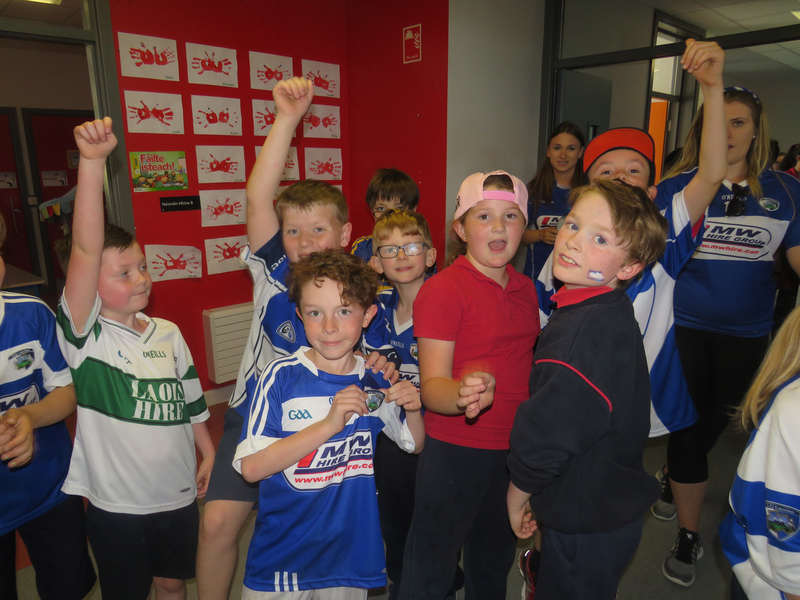 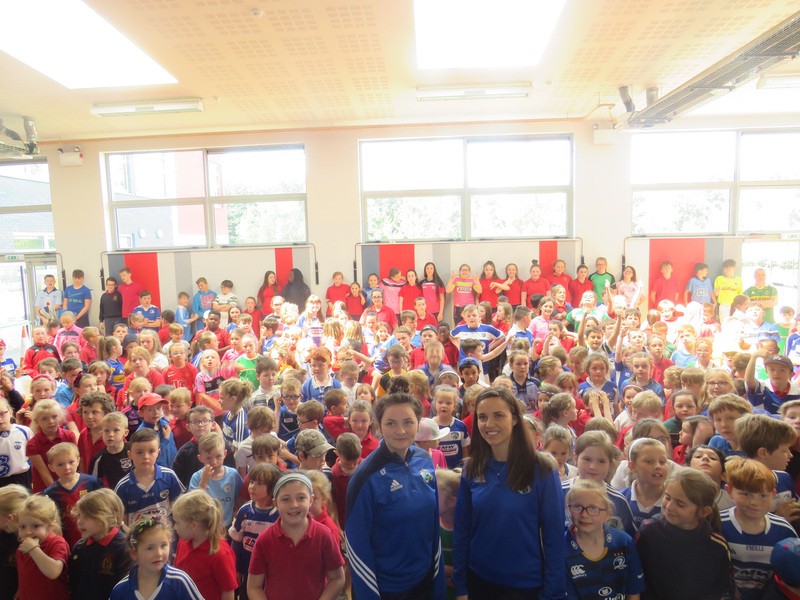 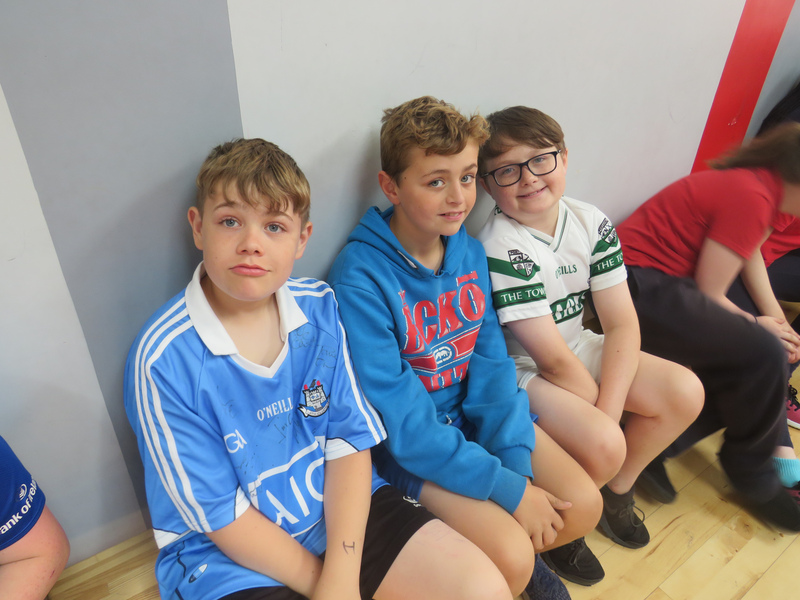 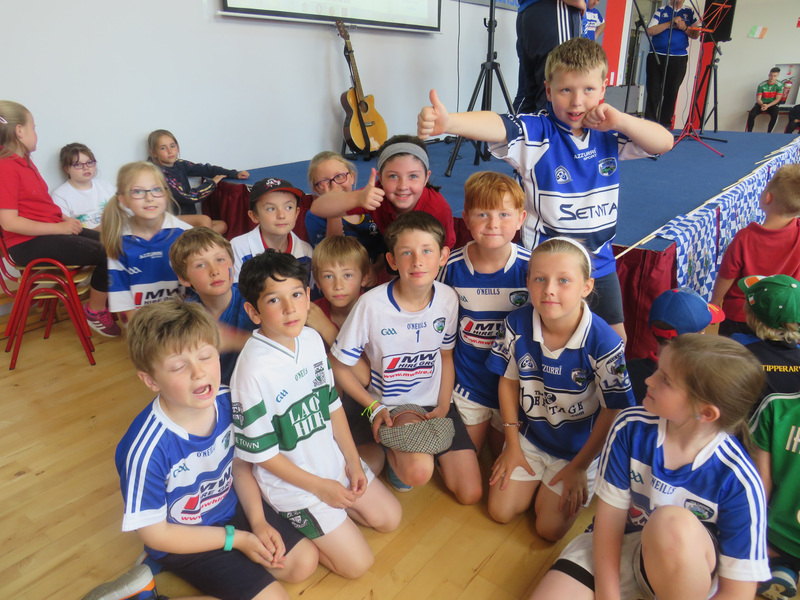 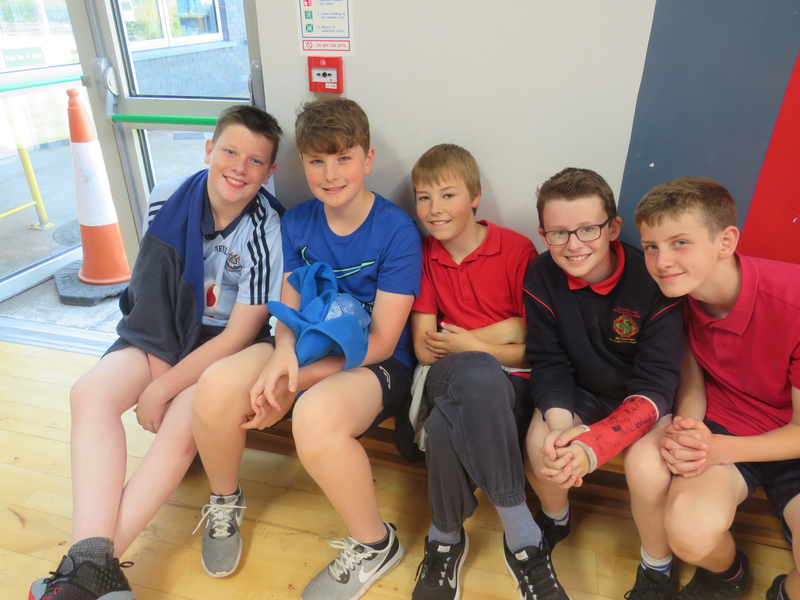 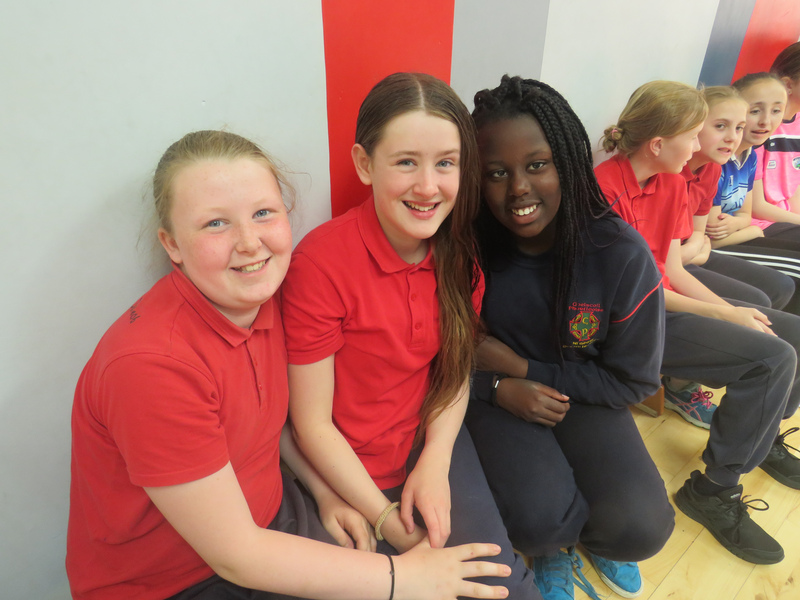 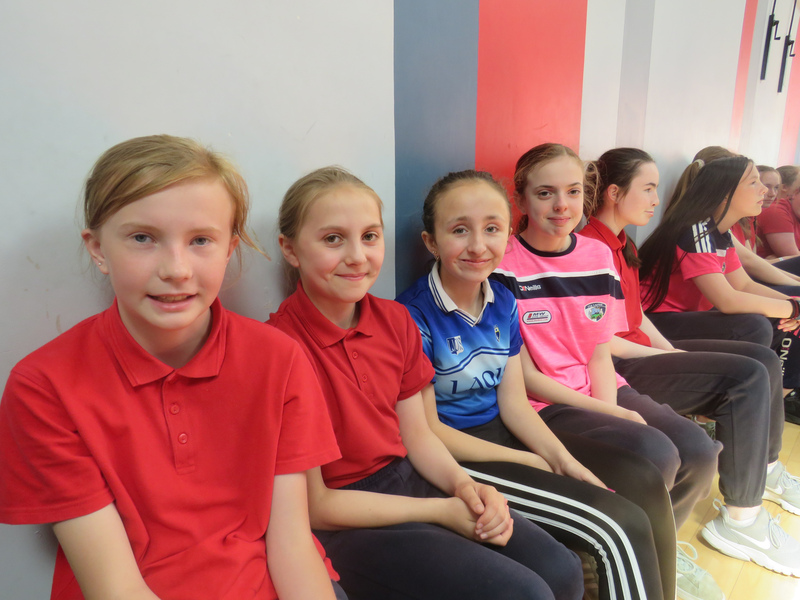 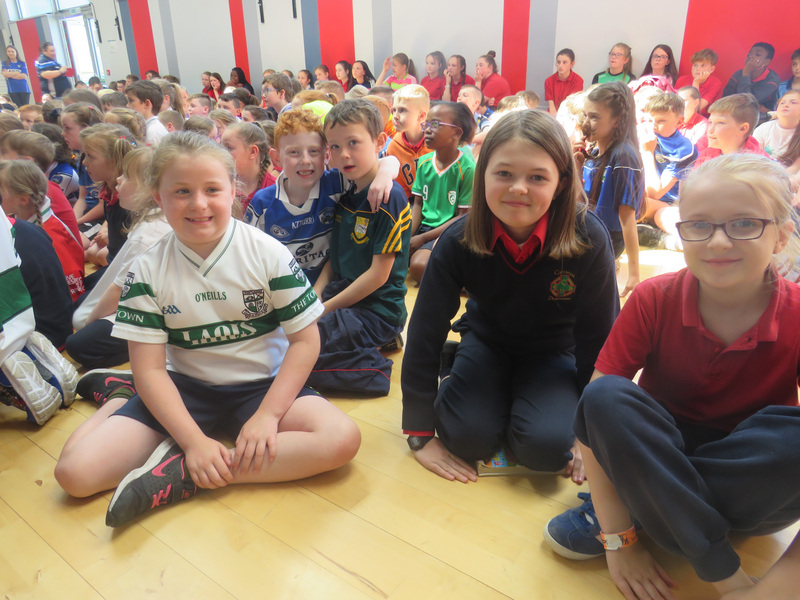 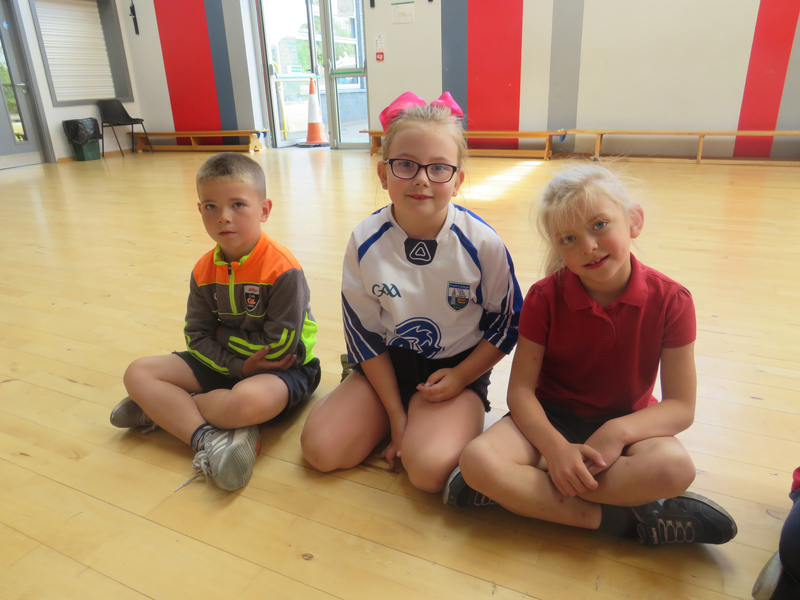 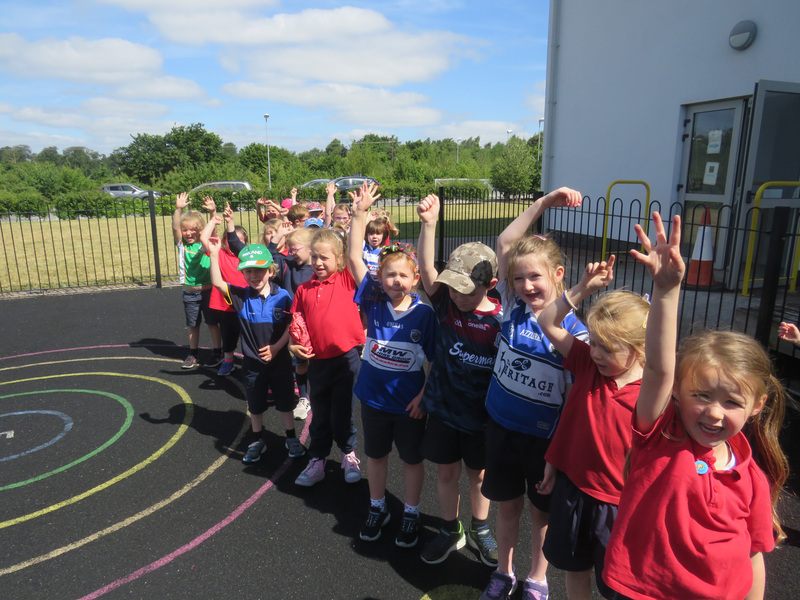 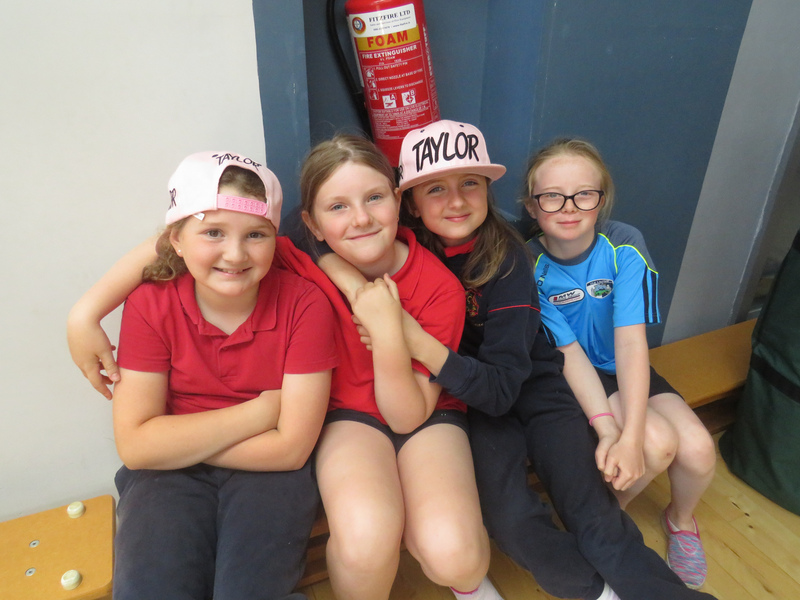 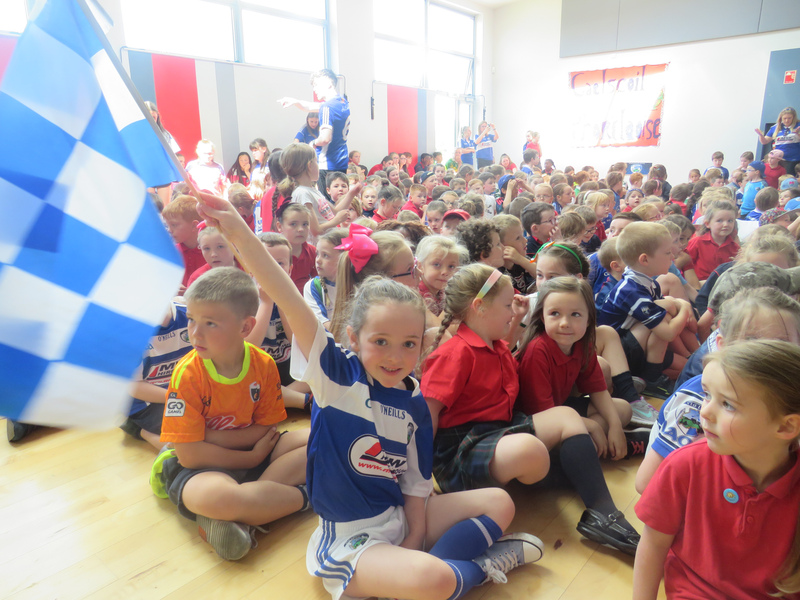 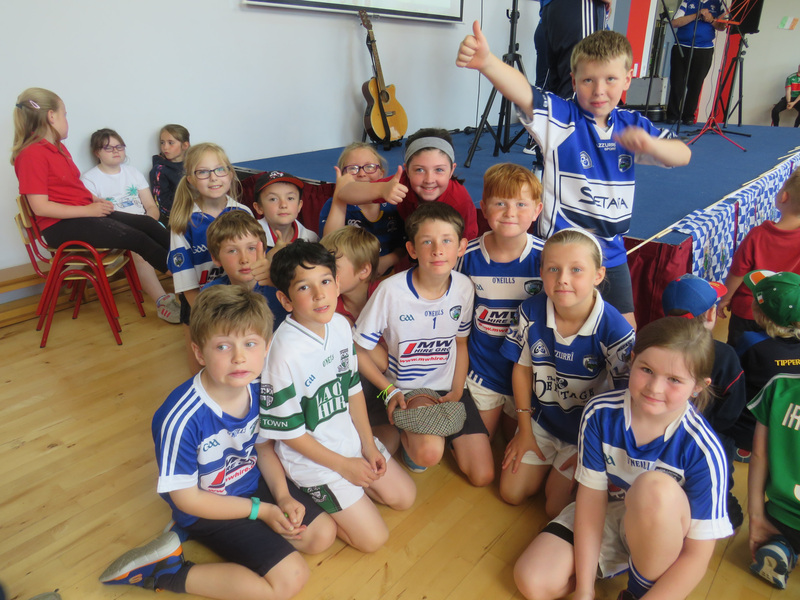 Two Laois Ladies footballers – goalkeeper Fiona Kelly and forward Erone Fitzpatrick – also paid a special visit to the school and answered questions about what it takes to be a a high-calibre county player. 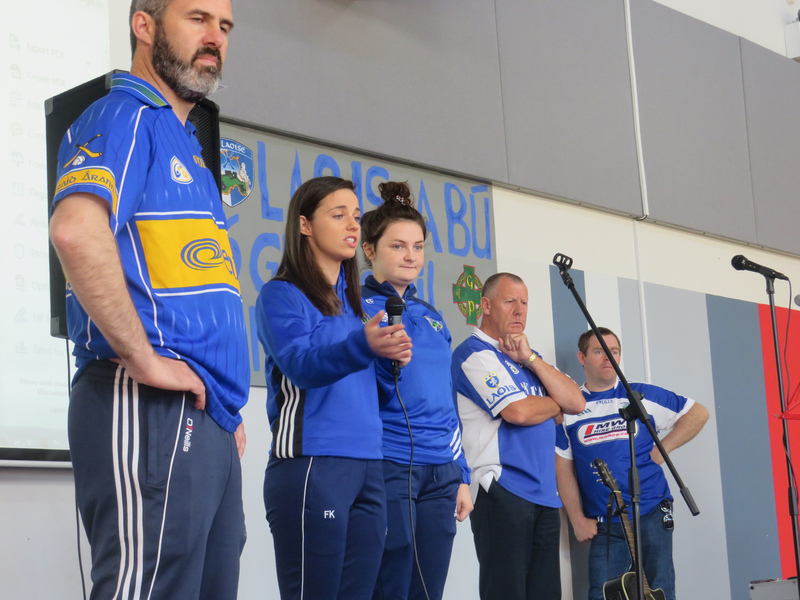 They spoke about how many evenings they train, how long they’ve played for and about their positions on the field. 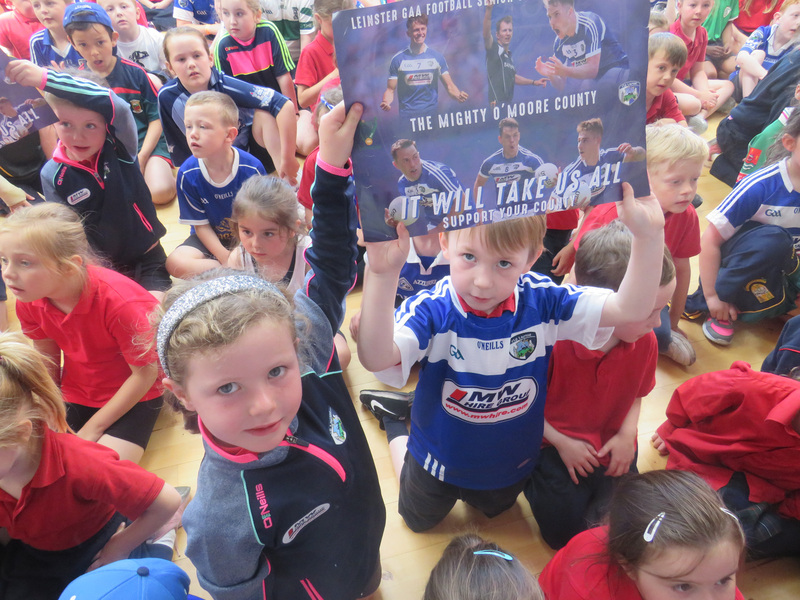 One little boy Noah even boldly asked, “Who’s the better player?” and got a big roar from the crowd. 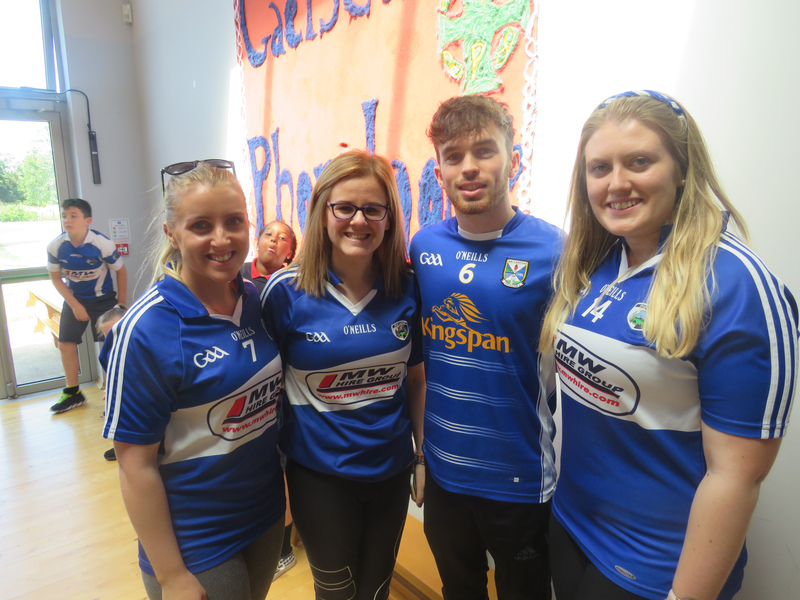 Fiona, Erone and the Horahans posed for pictures after today’s event and you can see them all here.